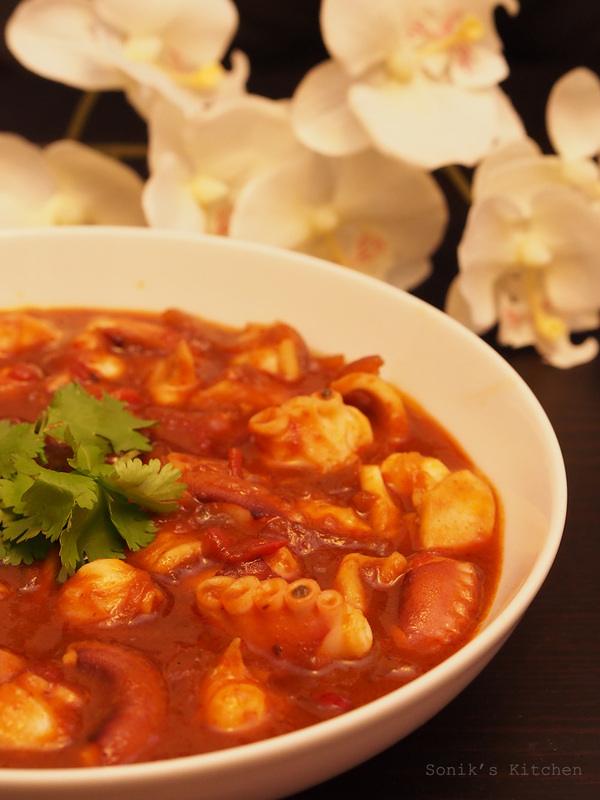 Sambal Sotong is a dish cooked with fresh squid (I used octopus) in a classic Malay sauce; a hearty spicy sauce made with chillies, onions, garlic, tomatoes, tamarind paste and dried shrimp paste also known as Belacan. 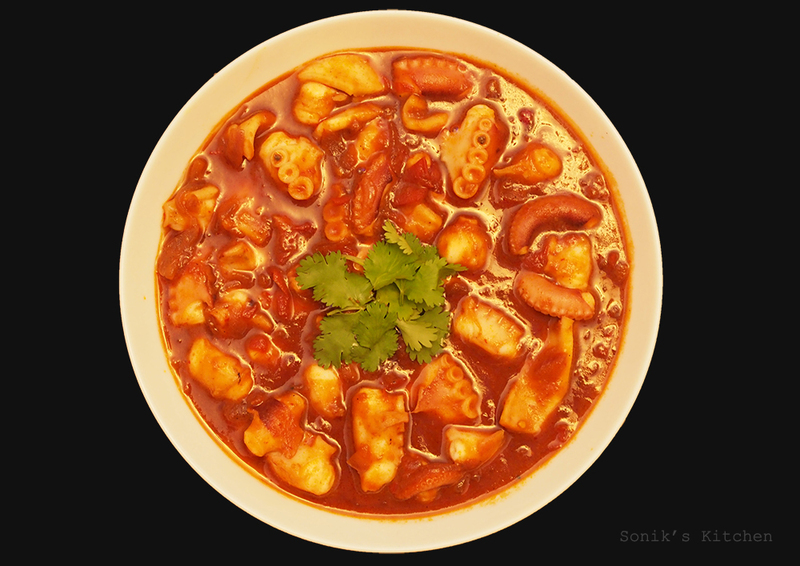 Sambal Sotong is also a popular accompaniment to Singaporean local dish – Nasi Lemak. Soften tamarind pulp in 60 ml boiling water in a bowl for 20 minutes. Strain through a fine sieve into a bowl, pressing to extract as much liquid as possible. Discard solids. Add soy sauce and sugar, and stir until sugar is dissolved. Heat oil in a large wok or saucepan over medium-high heat. Add in the garlic and onions and stir fry for about 5-6 minutes. Now add in the tomatoes and saute until it softens. Mix in the shrimp paste, chilli paste, tamarind liquid and water. Simmer till the sauce thickens. Add the squid/ octopus and stir fry for 3-4 minutes, make sure not to over cook them. Transfer it to a serving dish and let it sit for 5-8 minutes allowing the squid to absorb all the flavours. Serve with lime and turmeric rice (nasi kunyit).